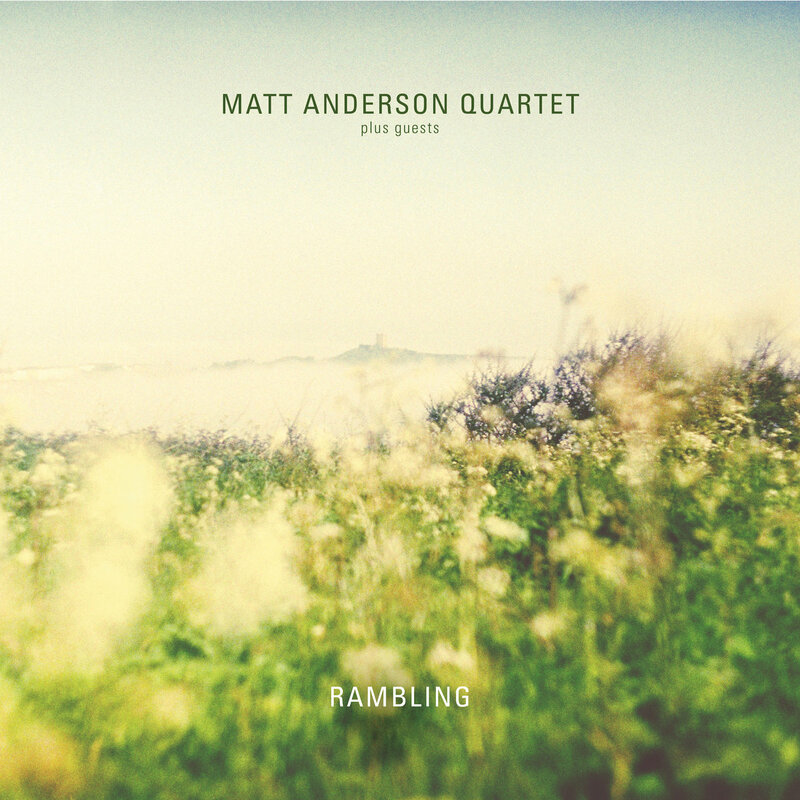 Rambling is Matt Anderson’s follow up to his 2015 debut recording Wild Flower. The saxophonist’s quartet – Peter Lee, piano and keyboards, Will Harris, double bass and drummer Jay Davis – with the addition of contributions from trumpeter Nick Malcolm, trombonist Owen Dawson, and guitarist Aubin Banns, further enhances the Yorkshireman’s reputation as an accomplished composer. The ten tracks on this Jellymould release were written by Anderson and the band leader has the grace and humility to state that track number four – Count Up/Tune Down – is based on John Coltrane’s Countdown. Rambling is framed by a brass band-like beginning and a brass band-like ending, perhaps owing a debt to Anderson’s north of England upbringing. The oft stately form of the colliery band is present in Anderson’s writing; Jig, Jag, Jug the opening track isn’t in a hurry, and much of the remainder is similarly restrained, the final track being a reprise of the first. The saxophonist’s long-time working relationship with Aubin Vanns pays dividends on this recording with the guitarist exercising typical restraint and exhibiting an increasingly rare attribute – taste. Nordic Blues features Vanns; chords, emergent solo, ceding to Anderson and the band’s in-the-pocket groove. Matt Anderson’s solos often at once reflective, yet fluent – hearing the saxophonist at a gig shows just what he is capable of – can, perhaps, be best illustrated by October Ending. Peter Lee’s piano opening adopts a reflective tone, bassist Will Harris solos concisely, quietly, reflectively, before the band leader assumes command with effortless fluency and clarity of thought. A midway interlude – The Long White Cloud – returns to a brass band theme before Anderson steps on the gas blowing hard, then swinging tenor on Metaphorical Gardening and The Ayes Have It. Guest trumpeter Nick Malcolm shows his hand on Nørrebro, a fine composition, illustrating why Anderson was a worthy recipient of the 2017 Dankworth Prize for Jazz Composition. Three years ago Matt Anderson released Wild Flower to critical acclaim, 2018’s Rambling is likely to garner similar praise. 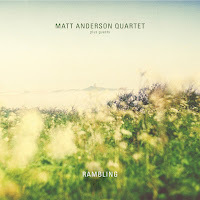 Rambling by the Matt Anderson Quartet is available from May 25 on Jellymould Jazz (cat.no JM-JJ030).